Fox added a lot of drama depth in 2017-18, and this fall Thursday lineup was one of the clearest examples. Gotham and The Orville did not set the world on fire, but still represented a huge improvement on last year's Rosewood / Pitch debacle. The Thursday improvement couldn't last into the spring, as Gotham softened in its return from hiatus and got compared against a much stronger year-ago occupant in Gordon Ramsay. A regularly-scheduled edition of Showtime At the Apollo quietly improved upon the year-ago Kicking and Screaming by just enough to keep Fox's decline in just the single digits. Gotham: Moving from Monday to Thursday is a downgrade, but not a huge one. The run of 0.9's in the fall was actually fairly solid, but it underwhelmed somewhat in the spring (just hundredths away from falling to 0.5 on a couple occasions). Grade: C.
The Four: On a smaller scale, it actually kinda reminded me of American Idol in that the level of success was debatable early in the season, but it went on a nice run at the end that put it more clearly in the win column. Grade: B+. The grade is just for the winter run; it has been less impressive in the summer, but taken on the same kind of upward trajectory. 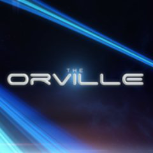 The Orville: Its averages are heavily inflated by early-season football exposure, but this was still a success up to the end; I would say when the dust settled it was about as strong as The Resident from the spring, and definitely a step ahead of The Gifted. I was wrestling between B+ and B for both this and Resident but gave this one the lower grade because it looked just a touch softer at the end of its run. After airing its last episode on December 7, not even making it on the fall schedule the next season is a pretty tough break. Grade: B.
Showtime At the Apollo: It didn't do much at all, but considering the incompatibility of its lead-in it was still a surprisingly decent improvement on Kicking and Screaming from last year. 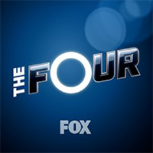 Not totally sold that was enough for a renewal, but Fox thought so. Grade: C.
Here's the now updated Schedules Plus for Fox Thursday.